A big staple in my family is quinoa. Quinoa has all the essential amino acids that most grains lack, which makes it a superfood! 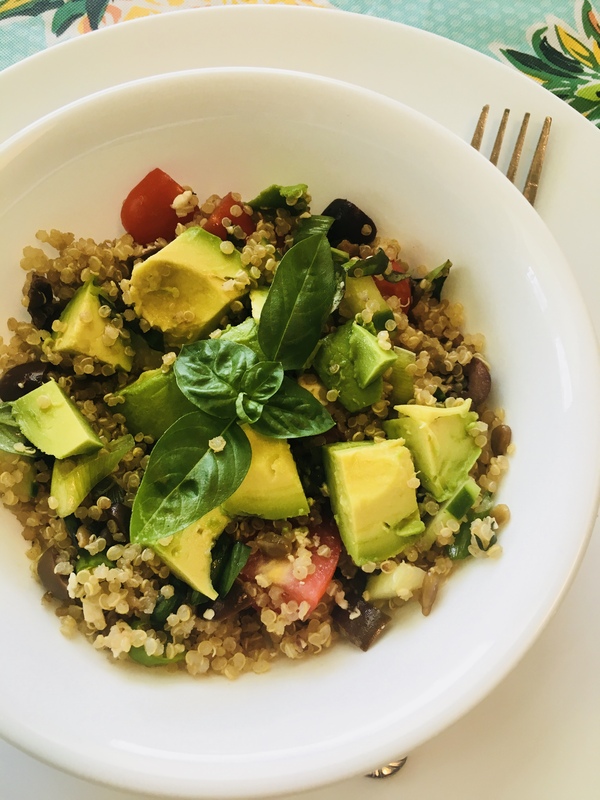 One of the recipes I make regularly is this delicious Mediterranean Quinoa Bowl. Here is a simple recipe you can make in bulk! Here’s a little tip: I make my quinoa in bulk in the rice cooker. Same rules apply to quinoa: 2 cups water to 1 cup quinoa. Tried this recipe last night. It was delicious! Thanks Betsy!